Bert's CK Tutorials - Adding to Leveled Lists the easy, safe way! 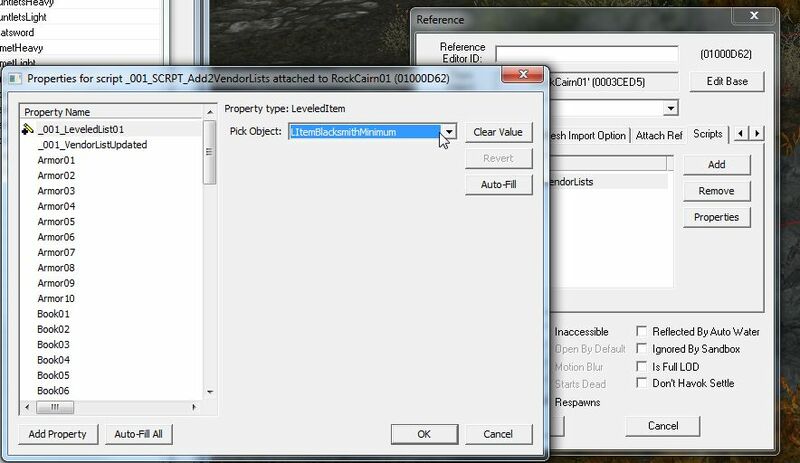 This is a tutorial plus script to add pretty much anything you can think of to the levelled lists in the game without modifying the list in the CK and thus overwriting items added to the same list by another mod. Of course, should another mod do this and be lower in the load order your additions will still be overwritten! The B@st#rds! Heh, only kidding! 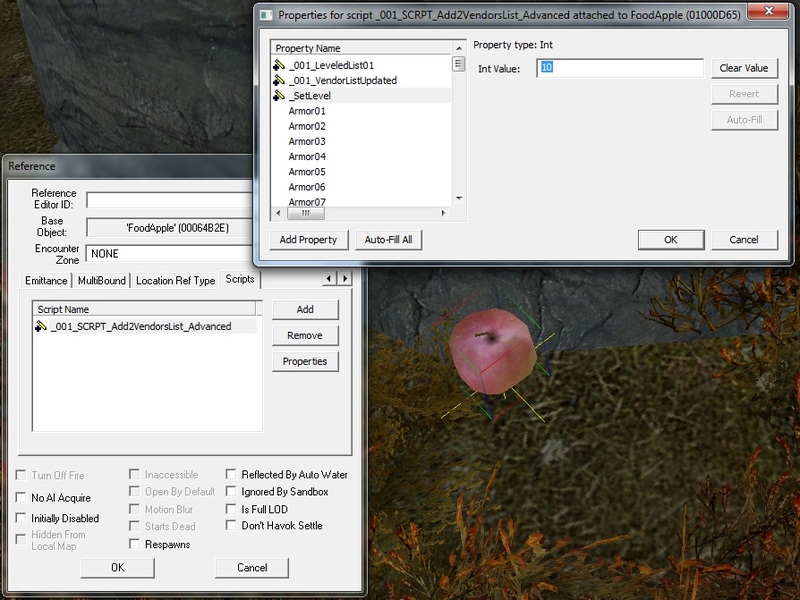 We can only work with the tools available, so here's a new tool so you can have as many mods as you like add goods to the same levelled list and none will ever be overwritten! The standard version is for standard items available from the beginning of the game whereas the Advanced version lets you dictate at what level the player must be before your items become available. More detail of the Advanced version is at the end of the main tutorial. though I suggest a worldspace rather than inside a cell. You can use pretty much any object you like, later on we'll even take a look at the pro's of using an apple!! 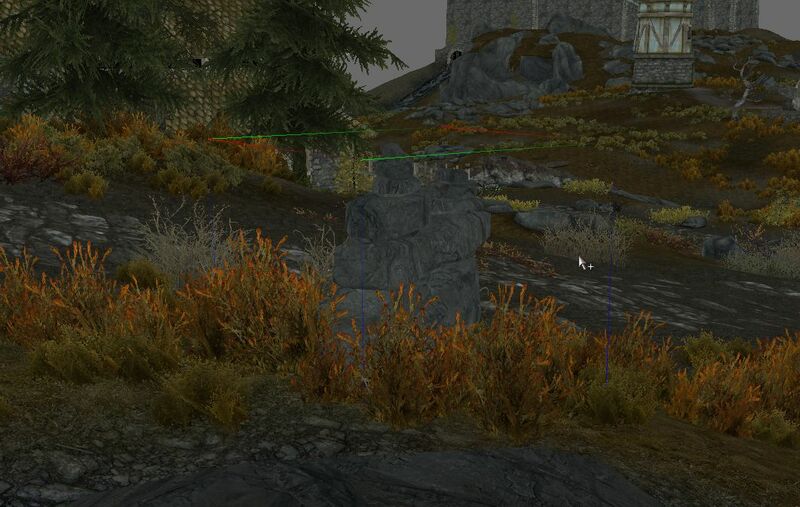 As you can see I've plonked my pile of rocks (RockCairn01) near the crossroads just North-East of Whiterun, next to the meadery. _001_SCRPT_Add2VendorLists to add it to your object. 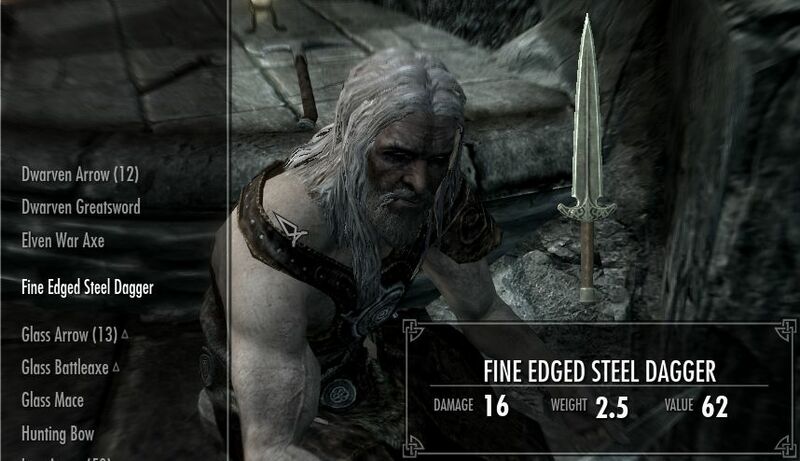 Now, for the purposes of this tutorial I've created a new dagger called Fine Edged Steel Dagger and slightly altered it's damage and cost. 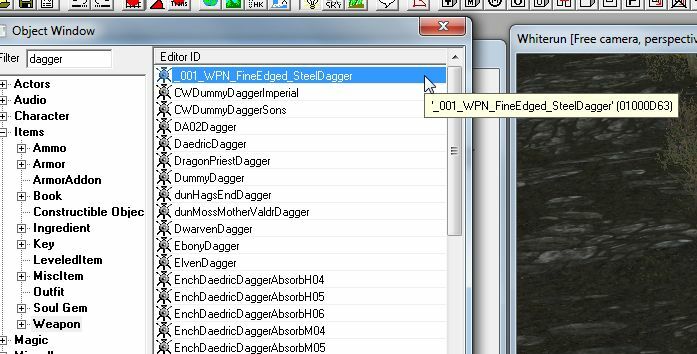 I've also located the levelled list I want my dagger to be added to, in this case LItemBlacksmithMinimum. message on one, not all! window and located the levelled list I'm after in the drop-down box, LItemBlacksmithMinimum. 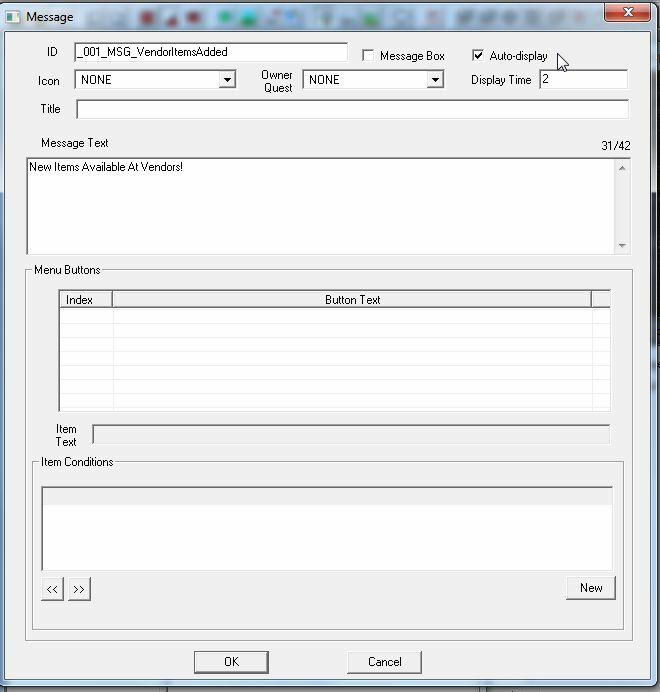 Do the same for the next option for the message you created if you want one shown. Then scroll down to the object type that you want to add and there are 10 slots per object type for you to place what you want added to the list. For this tutorial I've only created one dagger, so thats what I've added to the weapons section! So, for instance, if adding goods to an apothecary you can add both ingredients and potions in the same script! If I've missed anything let me know and I'll update the script! 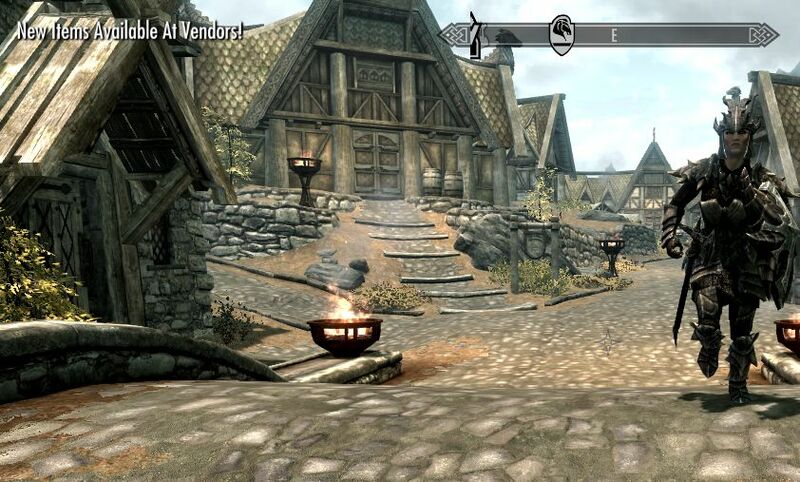 Click OK all the way out and save your mod then head in-game to try things out! 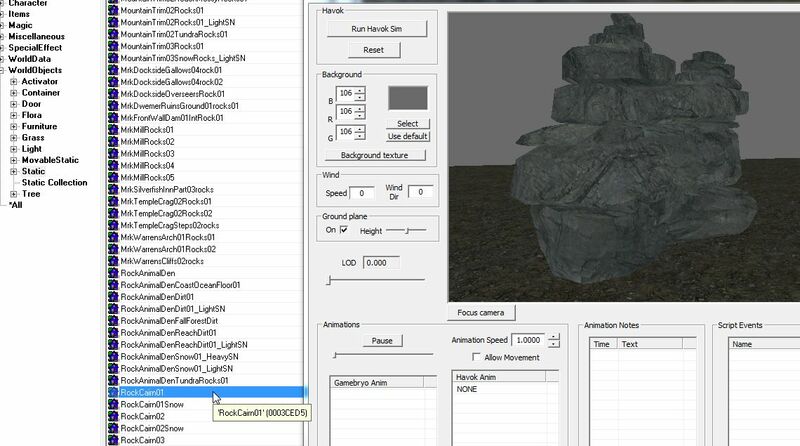 The Advanced version of the script has only one other setting but also, the levelled list you are using MUST use the setting "Calculate from all levels <= PC's level"
This part of the levelled list dictates at what level the player must be before this lists goods are available in-game. 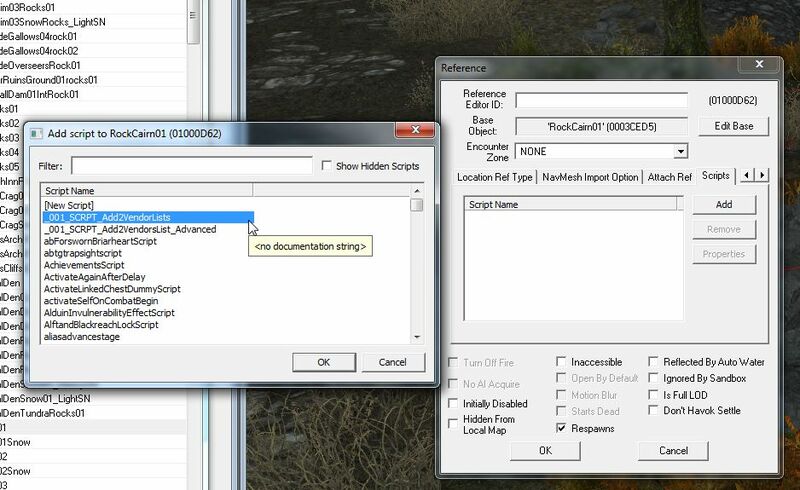 You can then set the Advanced scripts setting _SetLevel to ensure the items added to the list are not used until the player has reached this level. And finally we come to the reason for the apple. Though this script's "footprint" is minute it will be run every time the game loads, check whether it has ran already and if it has shut itself down. then tell your users to eat the apple! Remember to un-tick <Respawns> on the apple then, once eaten, no more script! As clean as clean can be! !